Vera is a dentist who graduated in 2008. She works four days in a private practice and one day as a clinical instructor at the University of Oslo, spreading some dental love. As a people-person, she enjoys working with people, and because many of her patients are anxious or have odontophobia (dental fear), psychology and good communication are a big part of what she does. In her spare time she loves to travel and dance salsa. During the Norwegian winters, when it is cold and dark, salsa is her remedy; a social antidepressant, both for the body and soul. In addition, she also enjoys reading crime novels and books about psychology. Let’s go and chat with her! Paulo Coelho, a Brazilian lyricist and novelist who has sold over 200 million copies worldwide and is the all-time bestselling Portuguese language author. Study.com has a great article that has more information about dentistry and on how to become a dentist. What is the salary of a dentist? On Money US News you can read more about the salary of a dentist and their working environment, including factors such as stress, future growth, and work-life balance. Are you still not sure whether or not you want to become a dentist? 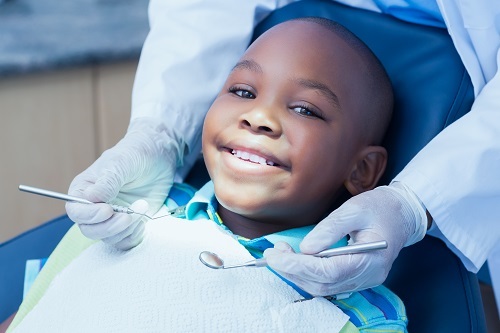 See this article by the American Dental Education Association (ADEA) about the benefits of becoming a dentist! Meet dentist Marissa Zoladz. Here she explains what she loves about her job and why she decided to study dentistry. Thanks for checking out this episode with dentist Vera! We hope that it helped answer your questions about the dental career path! Remember that if you still want more information about dentistry, you can send us a message and we will help you out. You can even be assigned a dentist mentor, who will happily help answer all your questions, guide you in the right direction and help you realize your dream of becoming a real dentist.